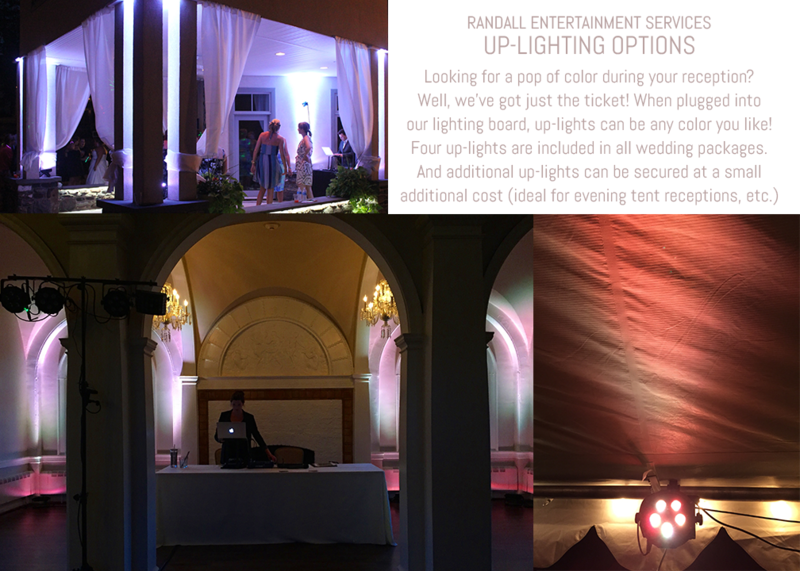 Whether you're looking for a tasteful DJ + MC duo, or a high-energy live wedding band, Randall Entertainment Services has you covered! As a top-notch entertainment team, we don't miss a beat. Who are we? Well, for starters, we're husband and wife! As his full-time job, Ben works at an investment firm, but when he isn't taking service calls from financial reps, you can find him recording music, watching movies, and riding his bike. But nothing thrills his heart more than spending time with his three boys. Those who know Ben best would say, that he is one of the most go-with-the-flow guys you'll ever meet, and he's always ready for a good laugh... or a chocolate chip cookie. Though her days are filled with laundry, Pixar movies, and changing oh so many diapers, Hannah still makes time to enjoy things like thrift store shopping, watching old musicals, and cooking/baking. She loves being a wife to Ben, a mom to Sully, Wes and Teddy, and enjoys all the planning that goes into the weddings they DJ. As the former manager of a cafe, she's glad for the opportunity to put her organizational skills to good use. With every DJ + MC package we offer you get just that, a DJ and an MC. This means there's one person (say hi to Ben) who mans the music, and another (that'd be Hannah) who is devoted to keeping the timeline moving smoothly and making any announcements needed. We have four packages to choose from, but each one is flexible to include other services necessary to make your wedding everything you've imagined it to be! Included in each package is a set of four up-lights to be used as accents around the room and one dance-floor lighting setup to keep the party jumpin! We are available at any time throughout your wedding planning process to offer assistance, not just concerning music and song choices, but in regards to ceremony + reception timeline, send-off specifics, and much more. So, don't hesitate to give a holler whenever a question arises! If you're looking for live music during your ceremony, as a folk duo who perform harmony-driven music through the simplicity of two voices and a guitar, we are perfect for pre-ceremony music, special dances, or whatever live wedding specials you have in mind! Take a look at our current song repertoire, but keep in mind we are willing to learn any song! We actually first met while playing music as teenagers in a worship band. So, music has been part of our relationship since the very beginning. After we got married we started performing live music together a lot, and over the last five years we've recorded these four EPs as free downloads. Go ahead and check 'em out! Kick your reception up a notch with a first-class 5-piece band! The Other Brothers Band perform a wide variety of danceable oldies, rock 'n roll, blues, raggae, motown, and bluegrass music that is guaranteed to get the party started and keep it going for hours! Take a look at the current song repertoire, but feel free to request a song you don't see on this list! How did Randall Entertainment Services get started? Our interest in DJing began in 2011 while choosing music for our own wedding. We knew we wanted them to feel at ease during dinner, able to converse comfortably with one another over the gentle sounds of Frank Sinatra and Michael Buble, but then as a couple who loves to have fun, we wanted a lot of good, danceable songs that all ages felt comfortable shaking a tail feather to! Over the next couple years our involvement in friend's weddings grew as we performed live music during their ceremonies and receptions, and also provided sound equipment services for events in our community. In May 2013 we had our first official DJ gig, and ever since that wedding we have fallen more and more into a rhythm with our style, brand, and the way we work together. We are hooked on weddings! The two words that often describe how we feel driving home after tearing down are: exhausted and elated. We gab the whole way home over how funny the best man speech was, or how priceless the crowd's reaction was to such-and-such a song. From the moment we pull away from the venue to the minute our heads hit our pillows, as we yawn and complain about how sore our feet are, we sigh with relief saying, "That was awesome."